SINGAPORE - A national skills framework that identifies jobs, career pathways and emerging skills required for the logistics sector was launched on Friday (Sept 22). The joint effort by the Economic Development Board, Spring Singapore, SkillsFuture SG and Workforce Singapore will support the Government's vision of adding 2,000 new PMET (professionals, managers, executives and technicians) jobs in the logistics industry by 2020 and achieve a value-add of $8.3 billion. The skills framework initiative forms part of the logistics industry transformation map which was launched late last year. 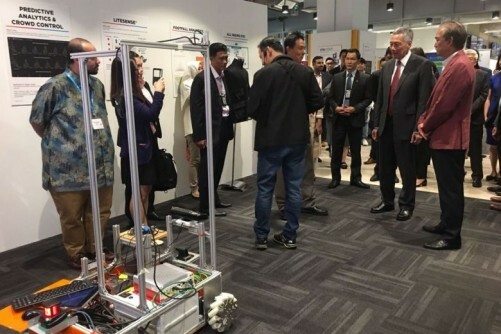 Speaking at the skills framework event on Friday, Prime Minister Lee Hsien Loong said: "Logistics is an important and promising sector for Singapore. We have a well-connected airport and sea ports that enable logistics companies to serve the whole region efficiently from Singapore, notwithstanding the higher land and labour cost. He noted that e-commerce is growing rapidly and supplanting traditional retail in many cases. "The last mile of e-commerce, i.e. delivery to the customer, is where technology and innovation can really make a difference," Mr Lee added. The growth of the logistics industry will see jobs that demand different and deeper skills from today. He urged companies to "invest in people, to develop talent, retain their staff and nurture deep knowledge and soft skills". Mr Lee said: "The Government will play its part to attract, nurture and retain a strong Singaporean core of talent for the logistics industry." Younger people will be trained ahead of demand, through Singapore's universities, polytechnics and ITE, while mid-career workers will be supported through mid-career professional conversion programmes. PM Lee was at the opening ceremony of home-grown logistics firm YCH's S$200 million flagship headquarters and warehouse facility, Supply Chain City, in the upcoming Jurong Innovation District in Jurong West. The facility already has up-to-date technology such as radio-frequency identification (RFID) and a state-of-the-art automated storage retrieval system for cargo. Mr Lee added that YCH will test new technologies at Supply Chain City, such as autonomous vehicles and drones, augmented and virtual reality systems. Built on 6.5ha of land, Supply Chain City has a gross floor area of about 2 million square feet and includes an industry training centre. Mr Lee noted that YCH's decision to invest in such a facility five years ago was a wise one: "Technology was rapidly disrupting the industry, with sensors, robotics and cloud computing changing the game. "Instead of being daunted by the challenges, YCH took the opportunity to harness these innovations to upgrade, and stay a step ahead of their competitors. We hope to have more companies like YCH that are home-grown, willing to adapt and innovate and leading the charge to embrace new technologies and staying ahead of the curve." Last year, logistics contributed more than 7 per cent to Singapore's GDP (gross domestic product), and employed over 200,000 workers. YCH started off as a small domestic passenger transport firm founded 62 years ago. 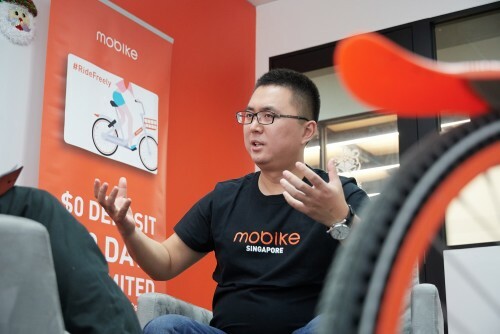 It now hires 5,000 people across 16 countries and has a significant presence in China. In Singapore, it has an 800-strong workforce. Available Logistics Related Positions Here!